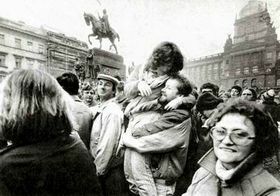 November 17th 1989 set in motion the Velvet Revolution which led to the peaceful overthrow of the communist regime in Czechoslovakia. 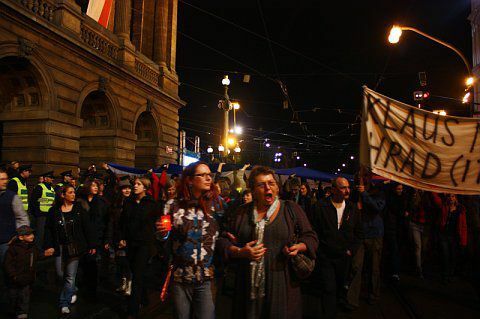 Following a brutal police crack-down on an unarmed student demonstration in Prague on that day, thousands of people took to the streets, asserting their desire for change. A week after the fall of the Berlin Wall, with East Germany, Poland and Hungary already firmly set on the road to democracy, it was clear that the Eastern Bloc was crumbling. The fall of the Iron Curtain ended nearly half a century of a divided Europe, changing the political map of the Old Continent and indeed the world. It marked the beginning of a new era for millions of people. During those tumultuous days the eyes of the world were on the former Communist Bloc, with people around the world glued to their TV sets watching history in the making. 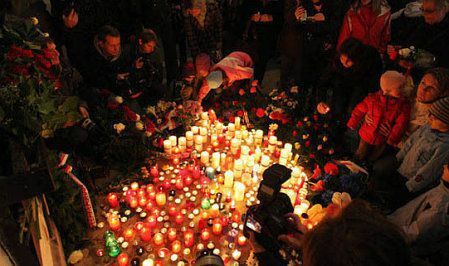 Around 15,000 students gathered in Prague to honour the memory of Jan Opletal. The Communists had granted permission for a procession that would end at the national cemetery at Vyšehrad. However, the march did not break up there, and despite instructions from the police the students continued on into the centre of Prague to voice their opposition to the anti-reform policies of the Communist leadership. As the march neared the centre more and more people joined it. However, they did not reach Wenceslas Square. 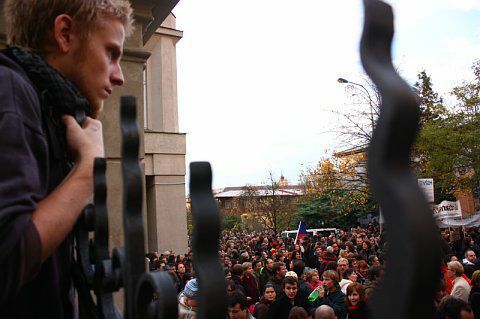 The unarmed students were hemmed in by the police on Národní třída, before the police waded in, brutally attacking them. Around 600 of the demonstrators were injured. 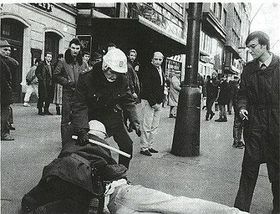 Many Czechs were shocked by the police's brutality. The following day students at universities in the capital declared a general strike, and were soon joined by actors from Prague's theatres. On November 19 Civic Forum was established, becoming the voice of the protesters and a partner in dialogue with the Communist regime. The road to democracy had begun. Following his suicide, Jan Palach was adopted by Czechs as a national hero, while the communist authorities tried – in vain – to erase all trace of what he had done. When Czechs gathered to mark his death 20 years later in 1989, they were met with tear gas and unprecedented police brutality. 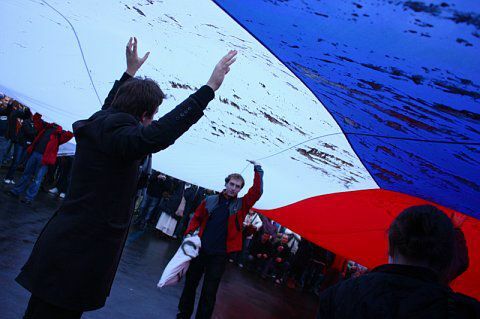 The clampdown resulted in a week of protests, which some say led to the Velvet Revolution in November that year. November 17 1989 did not begin dramatically. It was the fiftieth anniversary of the execution of nine Prague students who had led protests in 1939 against the German occupation. 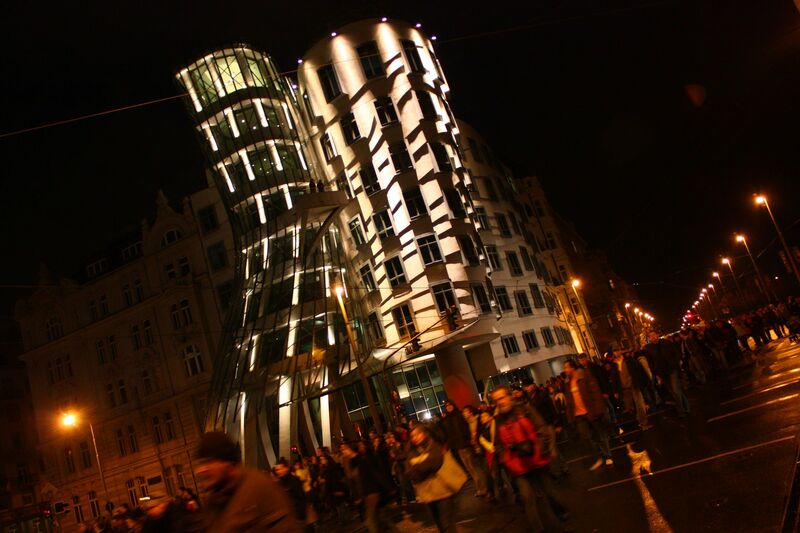 Various officially sanctioned commemorations were taking place and the centre of Prague was filled with students.